Small business owners and self-employed individuals are often targets for a CRA tax audit. Provide the following and we'll email you 6 great tips about what you can do to not get the attention of the CRA. Would you like to receive our monthly eNewsletter with more tax, accounting and money-saving tips? FBC provides Audit Protection for all our clients. Are you risking a CRA Personal or Business Tax Audit? Use these 6 ideas to help avoid the attention of CRA. Timing is everything. Making too much money could be a bad thing. Consistency is always a good thing. Not taking a second look at your return can lead to problems. And more! Our FBC members enjoy audit protection. Should your small business get audited, we'll deal with CRA on your behalf so you don't have to. 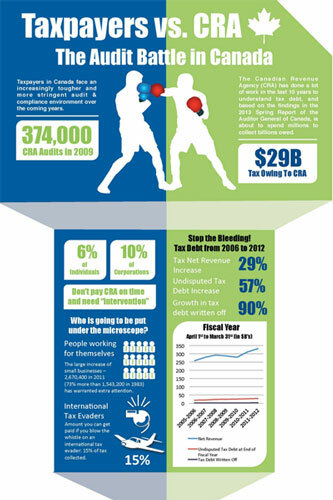 Avoid and Reduce Audit Risk of your CRA tax return.